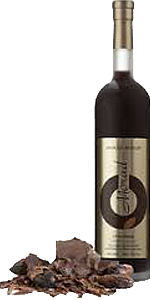 Morad's Chocolate Liqueur is the Gold Seal Award winner of the 2013 Terravino International Wine and Spirit Challenge. This unique tasting liqueur is made with fine chocolate, without the addition of any artificial flavoring. Danue Chocolate liqueur with the bitter and sweetish taste. Recommended method of serving: Cold, in shot glasses.